German Chancellor Angela Merkel has said she wants to maintain border controls in the Schengen area beyond November, despite the EU Commission's plan to end the practice at that time. 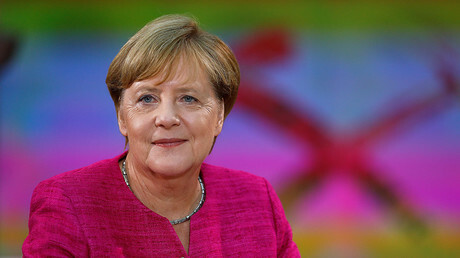 "Given what the situation is at the moment, I believe we need these border controls," Merkel said during a Tuesday news conference as quoted by AFP. She added that she will call for it to be extended during talks with EU Commission chief Jean-Claude Juncker Wednesday. Schengen countries – Austria, Germany, Sweden, Denmark and non-EU member Norway introduced ID checks at their borders during the height of the refugee crisis in 2015. They have been allowed to repeatedly prolong them at certain intervals ever since. However, the EU Commission stated in early May that the five countries would be able to extend the border checks just one more time, for a maximum period of six months. EU Migration and Home Affairs Commissioner Dimitris Avramopoulos drove the point home, telling reporters on the same day that "this is the last prolongation, I repeat it, this is the last prolongation." Under EU rules, the checks, which Brussels initially intended to scrap by the end of 2016, can no longer be extended unless a new reason or threat emerges, the EU Observer reported at the time. The checks were first introduced in response to the worst refugee crisis since World War II, which saw a record number of refugees flood into Europe from Syria, as well as other Middle Eastern countries and Africa. The extra security measures were always intended to be temporary, as the Schengen area includes 22 EU countries plus Iceland, Liechtenstein, Norway, and Switzerland, which previously agreed to abolish passport and all other types of border control at their mutual borders. Germany has been the most popular destination for new arrivals, and the country has allowed in more than one million asylum seekers since 2015, as part of Merkel's so-called 'open-door' policy for those fleeing war and persecution. That policy, which sparked a rise in anti-migrant sentiment and opened up deep rifts within German society, has been slammed by German opposition parties as well as by some within Merkel's own conservative bloc. 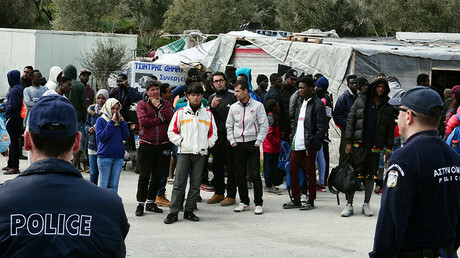 The mass influx of refugees has impacted Germany's security situation, according to an April report by Der Spiegel which found that thousands of Afghan refugees who came into the country admitted during interviews with the German Federal Office for Migration and Refugees (BAMF) that they either had contacts with some radical Islamist groups in Afghanistan or had directly fought for extremists. Germany has also fallen victim to a series of terrorist attacks carried out by refugees and claimed by Islamic State (IS, formerly ISIS/ISIL) in 2016. The most notorious attack happened when a Tunisian asylum seeker, who had pledged allegiance to IS, plowed a truck into a Christmas market in Berlin, killing 12 people. 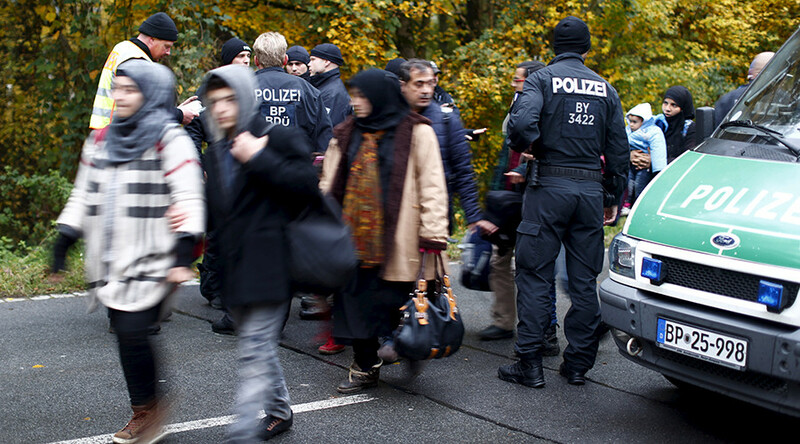 Just last month, Germany's domestic intelligence agency, the BfV, warned that new potential terrorists could be "possibly entering Europe under cover as part of the migration movement." Sexual harassment by refugees is also a complaint among critics of Merkel's open-door policy, particularly after a string of sexual assaults took place in Cologne on New Year's Eve in 2015, most of which were committed by migrants. Meanwhile, the refugee influx has also led to a surge in right-wing extremism, with a total of 208 anti-Muslim incidents reported across Germany in the first three months of 2017, the Neue Osnabrücker Zeitung (NOZ) newspaper reported in June, citing security officials. In addition, there were 900 attacks on refugee centers across the country in 2016, over 850 of which may have been committed by far-right extremists, according to police. Those numbers represented a five-fold increase from 2014 figures. However, despite widespread criticism, Merkel once again defended her open-door policy during an interview with Die Welt Sunday. ”I’d make all the important decisions of 2015 the same way again,” she said, adding that she has no regrets. Merkel's comments came just a day after protesters at an election rally in the German town of Quedlinburg Saturday shouted "Liar, liar" and "Merkel must go." The chancellor remained steadfast in her defense of the open-door policy, defiantly telling the demonstrators that Germany still welcomes asylum seekers.